Documentation allegedly associated with the "Windows 8.1 with Bing" release appears to show that, from a product sense, very little will differentiate it from a standard Windows implementation. Noted Windows leaker Wzor published the Windows Assessment and Deployment Kit on Wednesday night, containing documentation essentially showing Windows will be set to use Bing as its default search engine. But users will be able to install other browsers besides Internet Explorer, according to documentation grabbed by Bavo Luysterborg. "Windows 8.1 with Bing helps OEMs add Windows to low-cost devices while driving end user usage of Microsoft Services such as Bing and OneDrive," the documentation states. "This edition of Windows sets Bing as the default search engine within Internet Explorer. Users will be able to manually change default search settings and install additional browsers of their choice. Windows 8.1 with Bing is based on the feature set available in Windows 8.1 Core and includes all of the latest updates, including Windows 8.1 Update. 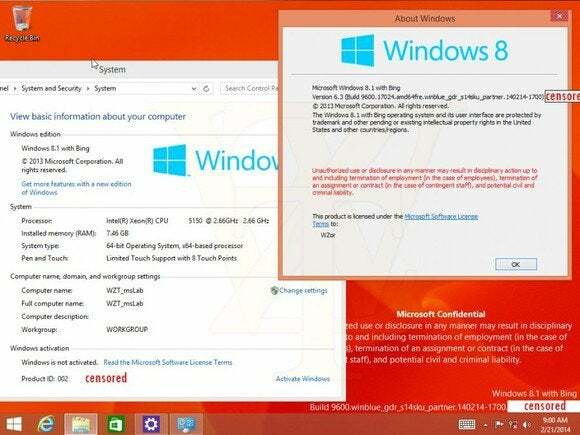 Windows 8.1 with Bing is available for 32-bit and 64-bit platforms. " "Windows 8.1 with Bing is similar to other editions of Windows and should be imaged, updated, and deployed the same as any other Windows edition," the documentation continues. "However, OEMs will not be able to change the default search engine with the SearchScopes unattend setting, Registry key, or 3rd party installation tools. When a user starts Internet Explorer, Bing is automatically set to the default Search Engine and will override any OEM-configured search provider. No other Internet Explorer defaults are changed." The technical documentation says nothing about pricing, although Microsoft has signalled its move into cheaper hardware: first, by lowering the hardware requirements for the Windows 8.1 Update; second, by reportedly lowering Windows licensing costs for low-end devices; and third, with the Windows 8.1 with Bing release. So while it's probable that Microsoft may lower the price of this edition to compete with Chromebooks, for example, that's not necessarily implied. Microsoft officials did not respond by press time, so the company's official position is unclear. It's also unclear whether Microsoft will block Google's home page, for example, completely preventing users from using Google's search engine, or somehow hijacking Google's address/search bar. (Both look doubtful, given Microsoft's permission to change the default search services.) And we still don't know, how, if at all, Microsoft will monetize its other cloud services. 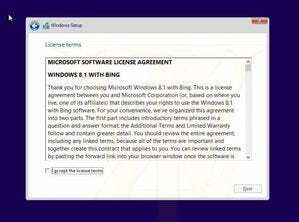 Microsoft's line of reasoning, however, may be simply to say that over time, users will "pay" for their Windows license by using Bing. After all, Bing Rewards literally pays users to use the search engine. Will a few years of daily Bing use pay for a Windows license? It appears so.